Packages and products move easily on ball transfer balls. 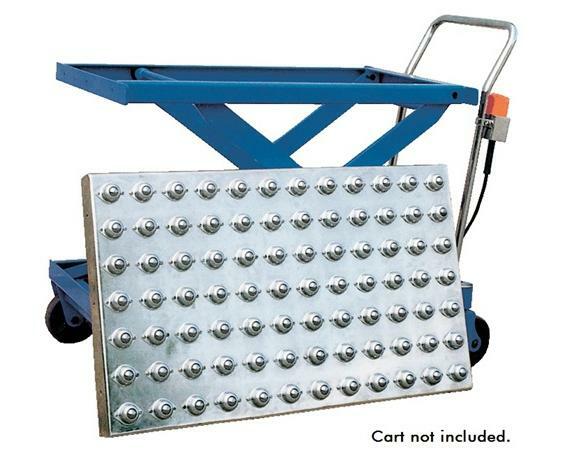 Adaptable to many Hydraulic Carts and Scissor Tables. 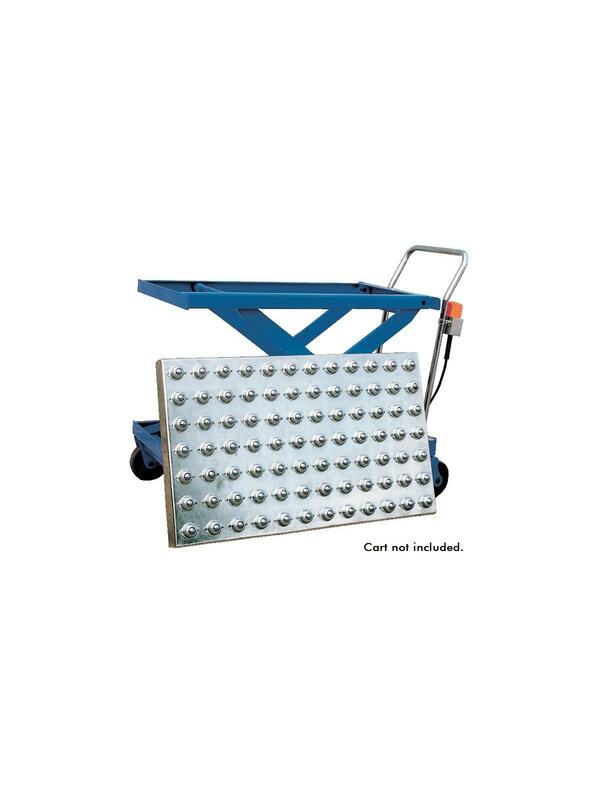 Use a 3:1 Safety Factor on uneven surfaces - cart not included.